My school is trying a new method to summer school this year. Instead of Monday-Thursday mornings for 3 weeks (12 days), we are working on Mondays and Wednesday mornings for 6 weeks (still only 12 days). The thought is that if we spread out the chances of learning, the children will retain more and will be ready for the next school year. The 3 1/2 hour sessions include 2 computer lab sessions (one for reading and the other for math remediation sessions), as well as 2 classroom sessions, also for reading and math. In my group of 10, 6 of these children have one-on-one sessions with a teacher for additional reading remediation. With this said, the first day is always chaotic, but I needed some of the chaos to understand what my children needed to be ready for the beginning of second grade. 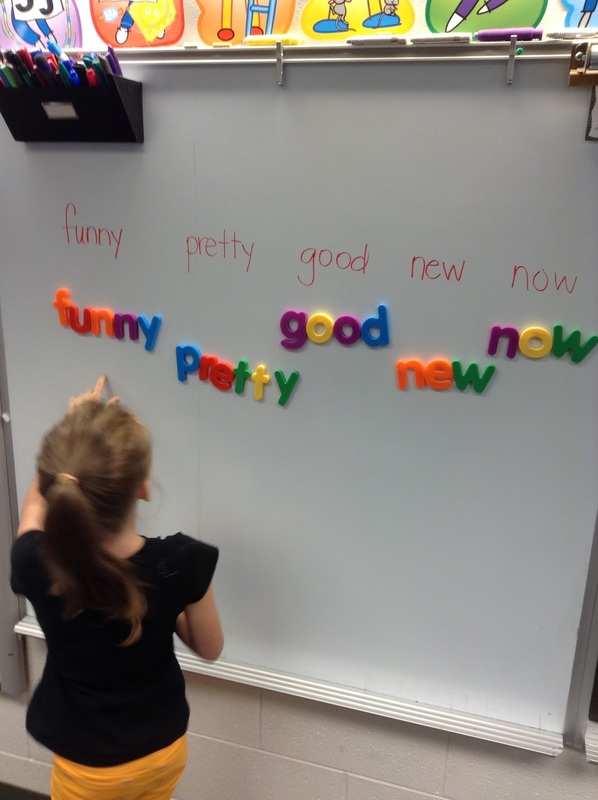 My focus is on sight words; the children are working on the primer and first grade word lists. 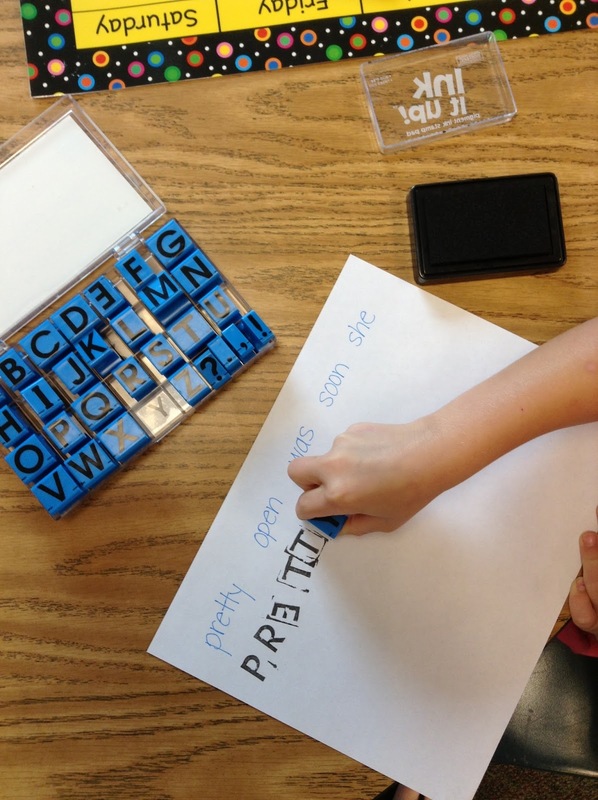 Here's some of the sight word stations I had set up yesterday. building sight words using magnet letters; these are always a favorite and I need to get more letters! 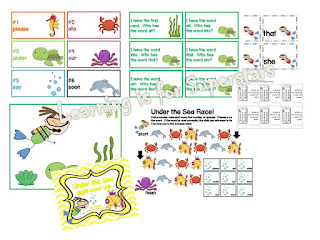 Once I left Monday afternoon, I knew that the first grade sight word activities I had prepared specifically for summer school were going to be too hard for 3 or 4 of my students, so I frantically put together a primer unit with summer themes. 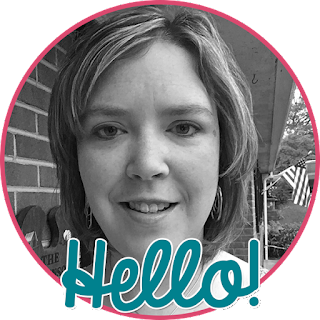 This theme has all 52 word cards, texting codes activity pages, "I have ... who has?" 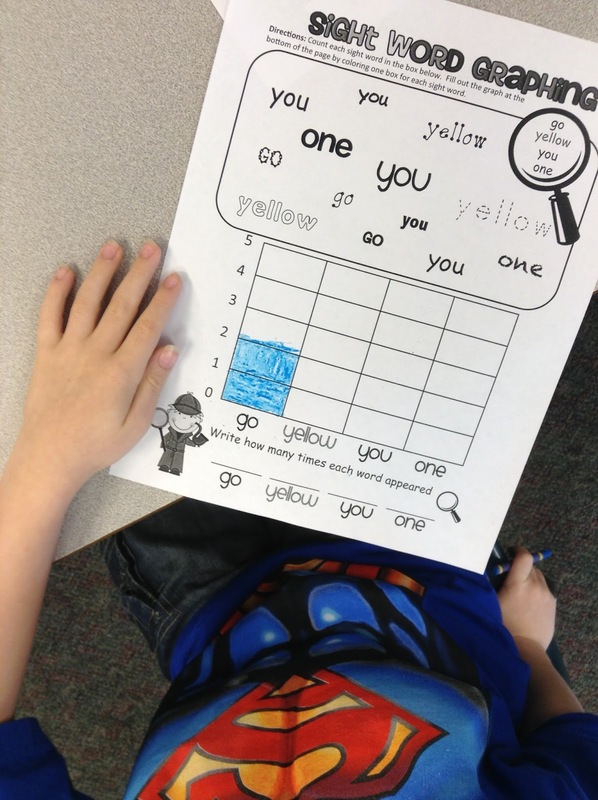 cards, 2 "I Spy" activities with recording pages, Write the Room cards with recording page, and a game perfect for a center. 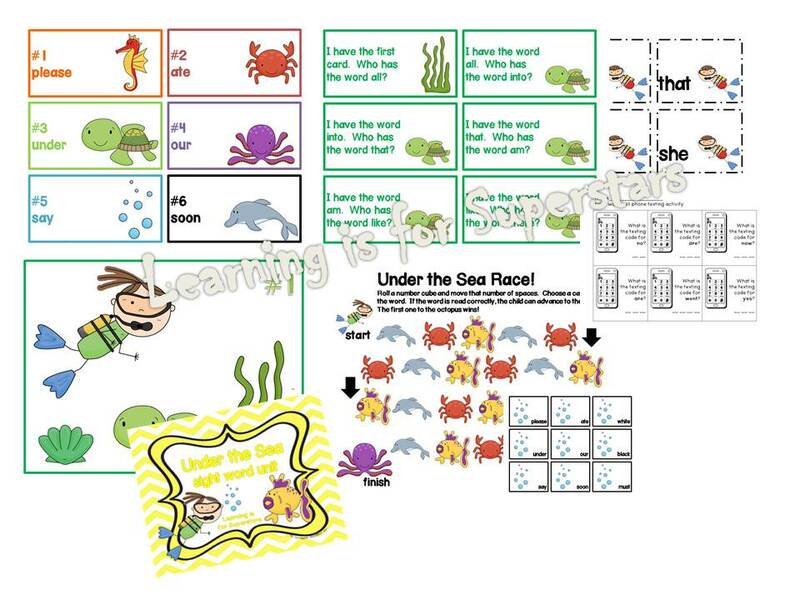 And the first grade unit I created has first grade sight words and contains word cards, Write the Room with recording page, 2 "I Spy" activities with recording pages, texting codes printables, and a game perfect for a center. For you, my loyal followers, I am giving away either the primer OR first grade word packet. Share in the comments something you have done since school has finished, along with your word packet preference, and email address. I am keeping this offer open until Friday evening. Thank you for the chance to win the first grade packet! I have been out of school since June 3rd, and I have worked on the Common Core standards and gone to Niagara Falls, Canada. I would love the first grade packet! We are not out of school yet! I have the First Grade Packet and love it! Would love to have the primer packet. I have been creating all the fun, cute stuff that I don't have time to do during the school year, like covering boxes with fabfic and spray painting a desktop bookshelf "thing-y" (complete with polka dots!). Also, been trying to clean my house! I would love the first grade pack. So far this summer I have painted my teacher chair with a zebra print, made many colored copies (almost 6 reams) and spent many hours watching my three boys play baseball. I have taken long naps & read! :-) I would love the 1st grade packet. Still have 2 weeks again in school but there is hope. I would love to have the First Grade Packet. I am enjoying sleeping in late. I would love to have the Primer Pack/Unit. I am from CA, but am visiting family in Indiana for a couple of weeks, and had an opportunity to go to Traverse City, Michigan. I believe I've found a great place to retire! I would love to have the first grade word packet. Thank you! Thanks for the great giveaway. I am relaxing and I will be teaching summer school in a few weeks. Since school ended, I've been helping some little ones do a little catch up work and a little let's hang on to what we've learned work. Both your packets are well thought out and would appeal to my students. I think we could really use the Primer Unit though. Thanks for inspiring me with all your great ideas. Thanks for the comments! The freebie is closed.